Join us and write new jokes! 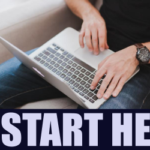 Write an outline and first draft of a funny stand-up comedy routine. 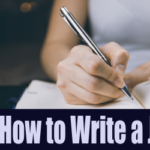 You will learn basic terminology for joke writers. Estimate the quantity of jokes it takes to make an audience laugh for 5-minutes. Give examples of your ideas for comedy. Ask questions about turning your ideas into funny jokes. Write jokes for your stand-up comedy routine. Prioritize the funniest ideas for jokes. 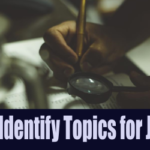 Break down your ideas and turn them into an outline for a funny comedy routine. Chuck is an experienced comedian and comedy instructor at the Community College of Denver. 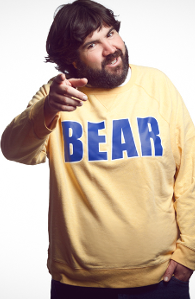 He’s a Last Comic Standing Semi-Finalist who stars in funny stand-up comedy specials including Louie Anderson Presents and Ralphie May Filthy Animal Tour. Chuck is certified in Effective Teaching and Learning Management Systems (LMS). 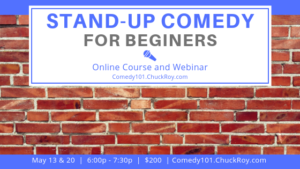 Find out how he’s building professional development training for stand-up comedians with Comedy101.ChuckRoy.com. 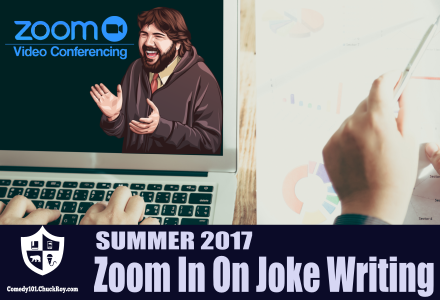 Get access to every video conference this summer!